Welcome to Cold Springs Dental. At Cold Springs Dental, we are committed to providing a lifetime of optimum oral health to our patients and strive to foster positive patient relationships based on mutual trust, excellent customer service, and the best care available. With high standards of excellence Dr. Madeline Majer, along with her friendly staff, offer comprehensive dentistry in a warm, family-oriented atmosphere. Meet our doctor here. Together, we can help you attain the dental health you deserve and the beautiful smile you desire. Today is a great day to begin a life of happy, healthy smiles. 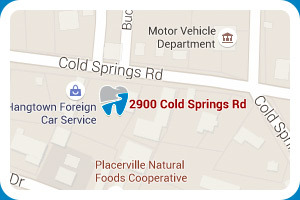 Contact our Placerville office to schedule an appointment with us today!